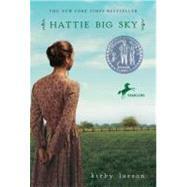 Alone in the world, teen-aged Hattie is driven to prove up on her uncle's homesteading claim. For years, sixteen-year-old Hattie's been shuttled between relatives. Tired of being Hattie Here-and-There, she courageously leaves Iowa to prove up on her late uncle's homestead claim near Vida, Montana. With a stubborn stick-to-itiveness, Hattie faces frost, drought and blizzards. Despite many hardships, Hattie forges ahead, sharing her adventures with her friends--especially Charlie, fighting in France--through letters and articles for her hometown paper. Her backbreaking quest for a home is lightened by her neighbors, the Muellers. But she feels threatened by pressure to be a "Loyal" American, forbidding friendships with folks of German descent. Despite everything, Hattie's determined to stay until a tragedy causes her to discover the true meaning of home. From the Hardcover edition. Miss Simpson starts every day with a reminder to pray for you—and all the other boys who enlisted. Well, I say we should pray for the Kaiser—he’s going to need those prayers once he meets you! I ran into your mother today at Uncle Holt’s store. She said word is you are heading for England soon, France after that. I won’t hardly be able to look at the map behind Miss Simpson’s desk now; it will only remind me of how far you are from Arlington. Mr. Whiskers says to tell you he’s doing fine. It’s been so cold, I’ve been letting him sleep in my bedroom. If Aunt Ivy knew, she’d pitch a fit. Thank goodness she finally decided I was too big to switch or my legs would be striped for certain. You should see Aunt Ivy. She’s made herself a cunning white envelope of a hat with a bright red cross stitched on the edge. She wears it to all the Red Cross meetings. Guess she wants to make sure everybody knows she’s a paid-up member. She’s been acting odd lately; even asked me this morning how was I feeling. First time in years she’s inquired about my health. Peculiar. Maybe this Red Cross work has softened her heart. Mildred Powell’s knitting her fifth pair of socks; they’re not all for you, so don’t get swell-headed. She’s knitting them for the Red Cross. All the girls at school are. But I suspect the nicest pair she knits will be for you. You must cut quite the figure in your uniform. A figure eight! (Ha, ha.) Seriously, I am certain you are going to make us all proud. Aunt Ivy’s home from her meeting and calling for me. I’ll sign off now but will write again soon. I blotted the letter and slipped it in an envelope. Aunt Ivy wouldn’t think twice about reading anything she found lying around, even if it was in my own room, on my own desk. To be on the safe side, I slipped the envelope under my pillow, still damp from my good cry last night. Not that I was like Mildred Powell, who hadn’t stopped boo-hooing since Charlie left. Only Mr. Whiskers and my pillow knew about my tears in the dark over Charlie. I did fret over his safety, but it was pure and sinful selfishness that wet my eyes at night. In all my sixteen years, Charlie Hawley was one of the nicest things to happen to me. It was him who’d stuck up for me when I first came to live with Aunt Ivy and Uncle Holt, so shy I couldn’t get my own name out. He’d walked me to school that very first day and every day after. Charlie was the one who’d brought me Mr. Whiskers, a sorry-looking tomcat who purred his way into my heart. The one who’d taught me how to pitch, and me a southpaw. So maybe I did spend a night now and then dreaming silly girl dreams about him, even though everyone knew he was sweet on Mildred. My bounce-around life had taught me that dreams were dangerous things—they look solid in your mind, but you just try to reach for them. It’s like gathering clouds. The class had voted to see Charlie off at the station. Mildred clung to his arm. His father clapped him on the back so often, I was certain he’d end up bruised. Miss Simpson made a dull speech as she presented Charlie with a gift from the school: a wool stocking cap and some stationery. “Time to get aboard, son,” the conductor called. Something shifted in my heart as Charlie swung his foot up onto the train steps. I had told myself to hang back—didn’t want to be lumped in with someone like Mildred—but I found myself running up to him and slipping something in his hand. “For luck!” I said. He glanced at the object and smiled. With a final wave, he boarded the train. “Oh, Charlie!” Mildred leaned on Mrs. Hawley and sobbed. “There, there.” Charlie’s mother patted Mildred’s back. Mr. Hawley took a bandanna from his pocket and made a big show of wiping his forehead. I pretended not to notice that he dabbed at his eyes, too. The others made their way slowly down the platform, back to their cars. I stood watching the train a bit longer, picturing Charlie patting the pocket where he’d placed the wishing stone I’d given him. He was the one who’d taught me about those, too. “Look for the black ones,” he’d told me. “With the white ring around the middle. If you throw them over your left shoulder and make a wish, it’s sure to come true.” He threw his wishing rocks with abandon and laughed at me for not tossing even one. My wish wasn’t the kind that could be granted by wishing rocks. And now two months had passed since Charlie stepped on that train. With him gone, life was like a batch of biscuits without the baking powder: flat, flat, flat. “Hattie!” Aunt Ivy’s voice was a warning. “Yes, ma’am!” I scurried down the stairs. She was holding court in her brown leather chair. Uncle Holt was settled into the hickory rocker, a stack of news- papers on his lap. I slipped into the parlor and picked up my project, a pathetic pair of socks I’d started back in October when Charlie enlisted. If the war lasted five more years, they might actually get finished. I held them up, peering through a filigree of dropped stitches. Not even a good chum like Charlie could be expected to wear these. “Hmmm.” Uncle Holt shook the newspaper into shape. I dropped another stitch. To hear her tell it most days, there was no end to my flaws in the domesticity department. Uncle Holt lowered one corner of the paper. I dropped another stitch. Something was up. There. It was out. Now I knew why she had been so kind to me lately. She’d found a way to get rid of me.